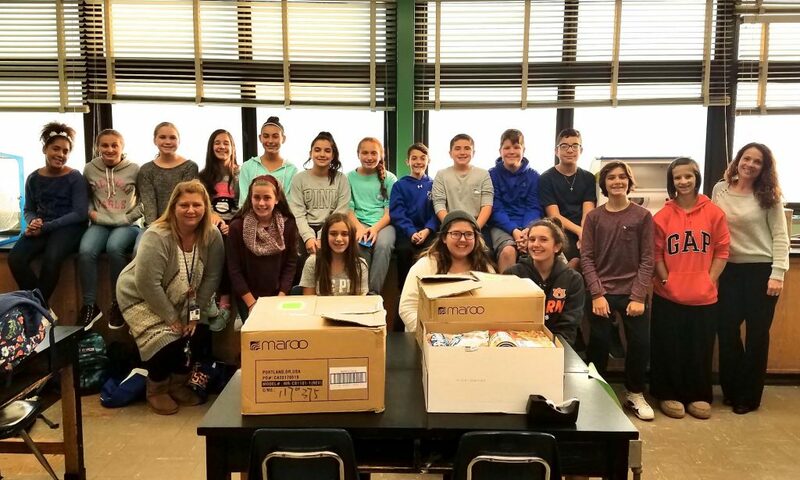 The student council members of West Islip’s Udall Road Middle School completed their annual food drive by collecting food items and donating them to needy families in the community. The students devoted their time to stay after school and pack the boxes for the families so that they were ready for delivery prior to Thanksgiving. Udall Food Drive: Udall Road Middle School student council members completed their annual food drive by collecting food items, packing the boxes and donating them to needy families in the community.